Welcome my lovely friends to one of the most exciting posts I have had for you in a while. 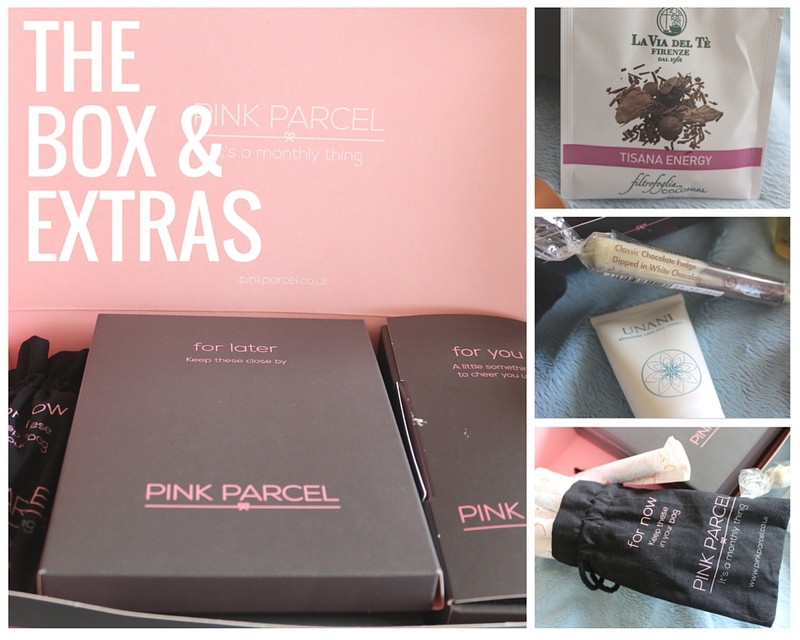 I would like to introduce you to the Pink Parcel. 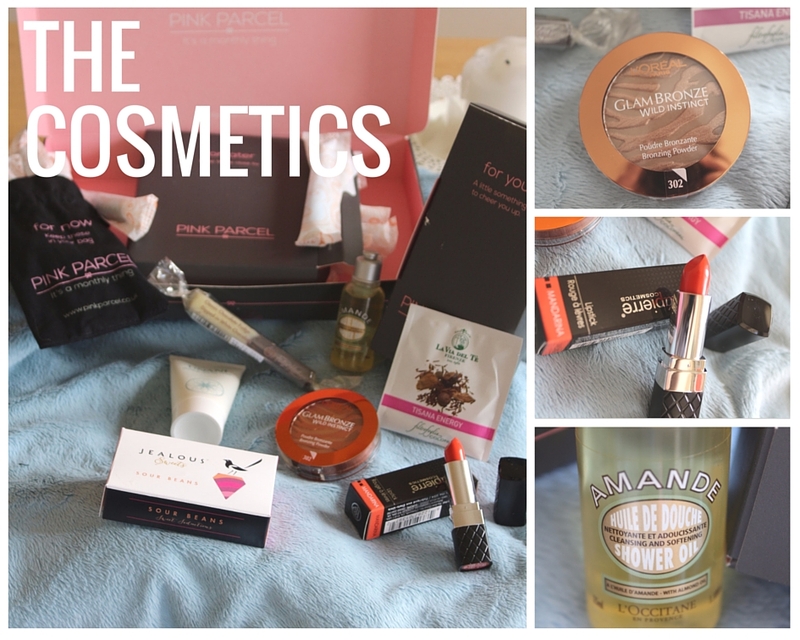 I am so in love with this subscription box and I was so excited when it arrived. Your first parcel only costs £5.95 and is £9.99 per month after that. It seems expensive but when you see what is inside and think about the sheer joy you will get when you receive it, it makes it worth so much more. Obviously the important part for me is the cosmetics! I mean I am a beauty nut after all. I decided to not research the brand too much before this arrived because I wanted to be surprised. I knew the concept but had no perception of the generosity! So when I cracked open the box I went straight for the "for you" box. I was in awe, the first thing I saw was a full size L'Oreal Glam Bronze bronzer in such a gorgeous gold shimmery tone, the colour would be perfect on every skin tone which I though was really well thought out. There was also a full size Bella Pierre lipstick in a beautiful coral, orange tone. To my amazement there was also a mini L'Occitane Almond Shower oil and a Unani moisturiser. I felt totally spoilt and thought this is perfect for every month when all you want is the feeling of being spoilt. It was also all really colourful and cute and instantly brightened my day. Okay so in the grand scheme of things this is the important part. The box comes with your choice of tampons or towels and your choice of brand, which I think is awesome because we all have our own preference. You get given a really cute discreet fabric bag to keep in your handbag with some tampons in and then two additional boxes in the parcel. All in all you receive 25 sanitary towels or tampons which I thought was a huge amount and literally would be all you need. The packaging was so feminine, yet classy and really discreet. The lovely idea people at Pink Parcel also decided to have some comfort options so they always include something sweet to curb cravings, mine has a chocolate covered fudge bar and sour jelly beans (lush) and a tea bag for a comforting cuppa when you're feeling low. Tea makes everything better!